It can be a source of no small frustration to see Microsoft pour resources into development for their dedicated games box while their other platform – ours – sits neglected. But when Microsoft’s Phil Harrison spoke at the London Games Conference yesterday he said that the big M’s development teams were now multiformat, developing games for Windows 8 and Surface tablets. 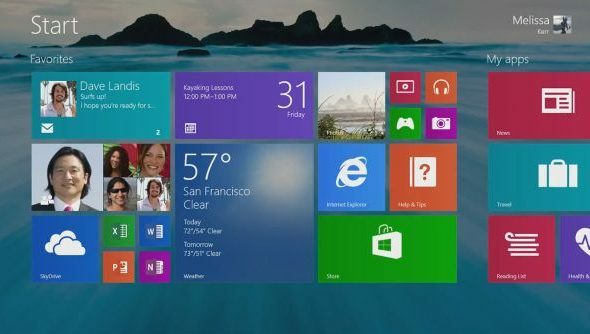 According to Harrison, 30 of the games launched with Windows 8 were developed in-house at Microsoft. Yeah, us neither. But most intriguingly, Harrison believes Microsoft’s competitors are no longer Sony and Nintendo, but Google, Amazon and Apple. What can we glean from that? Perhaps that if Microsoft really are making PC games again, they won’t necessarily be Flight Sim or Age of Empires. The kind of games that Microsoft’s new London studio will make, for instance, are not “retail products”, but “products largely based on the Windows 8 platform and technologies”. “We are trying to build a new kind of studio,” said Harrison. “We describe it as being a 21st Century studio. We advised you to hold off on Surface for now, and our Tim found Microsoft-developed Windows 8 launch game Adera neither overwhelming nor underwhelming – simply whelming. But maybe the new direction of Microsoft Games Studios might see some of its more capable divisions – Forza’s Turn 10, for example – creating strange new PC games that are much more than whelming. What do you reckon?